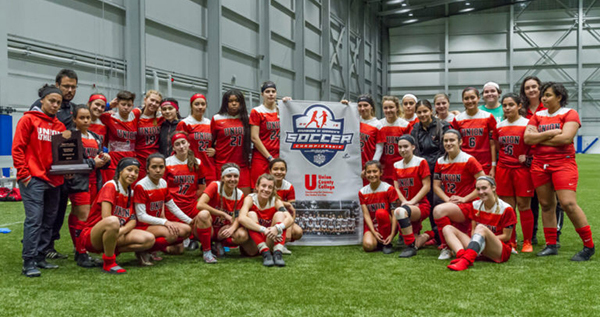 CRANFORD – The Union County College Women’s Soccer Team traveled to Rockford, IL, to compete in the 2018 National Junior College Athletic Association (NJCAA) Women’s Soccer National Tournament and finished third in the nation. After winning their first game in the tournament, they fell to #2 Delta College by a score of 2-0. 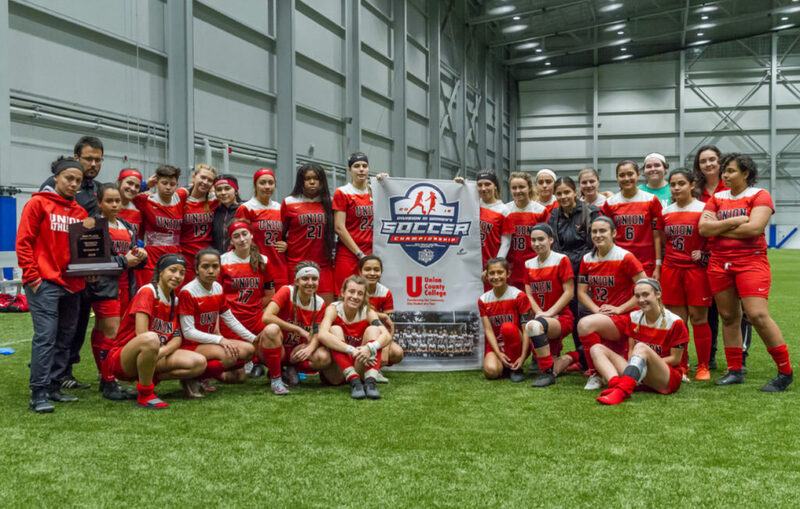 This was the College’s first time at the national tournament since the inception of the women’s soccer program at Union. The Lady Owls were awarded the National Tournament Sportsmanship Plaque at the awards portion of the tournament held after the championship game. This award is given by the NJCAA to the team whose actions on and off the field have demonstrated fairness, respect, honesty, unselfishness, and responsibility. In addition, two team members, sophomores Monica Flores, of Elizabeth, and Lindsey Wielgus, of Cranford, were named to the All-Tournament team. “I am extremely proud of the success of our women’s soccer team this year. The Lady Owls worked extremely hard every day, on and off the field, to achieve the success they had this season. They were a great representation of Union County College on the national stage in both their athletic abilities and their sportsmanship. I am already looking forward to seeing what next year’s team will achieve,” stated Head Soccer Coach Angie Correia, who is only in her second year as head coach. For more information on the College’s soccer program, visit www.unionowls.com. Union’s Lady Owls at the national tournament.